The delivery model generally receives high grades for access and quality, but healthcare organizations are examining how it shakes out in economic terms. An evolving reimbursement structure and a push to transform the nation’s healthcare delivery system have driven telehealth into the mainstream. For many healthcare organizations, it is a way to cut costs while improving quality outcomes, increasing revenues, and reaching more patients. Adding to the interest in launching or expanding telehealth services is the availability of financial assistance to offset costs as well as emerging care models that reward improved care management and shift utilization away from higher-priced settings. “Telehealth will play an increasingly critical role with the evolving reimbursement and care delivery models. Patient engagement, caregiver collaboration, and better management of transitions in care … will require more extensive use of connected health technologies,” says Lynne Dunbrack, program director for Connected Health IT Strategies at IDC Health Insights. In fact, a report from InMedica projects the world market for telehealth will exceed $1 billion by 2016 and could go as high as $6 billion by 2020. Key drivers include the push to reduce both the number of hospital visits and lengths of stay, which has manifested in a trend toward managing care outside the traditional hospital environment. Clearly, expectations are high for a relatively young delivery model. For hospitals that take the time to design telehealth programs to meet the unique needs of their patient population, it can be an economically sound investment with wide-ranging impacts. Unlike telemedicine, which is typically hospital based and focused on diagnoses and treatment, telehealth is a much broader application of technology to care delivery. It includes telemedicine but also more consumer-facing activities designed to deliver care and drive behavioral changes to improve overall health. In the report “Plotting the Telehealth Market Spectrum,” Bujnoch wrote that telehealth encompasses three aspects of healthcare: diagnostic, biological, and behavior. Diagnostic (eg, telemedicine) is the most familiar and best established. Biological includes applications such as home diagnostics, while behavioral involves tools such as social networking, activity monitoring, and health coaching. 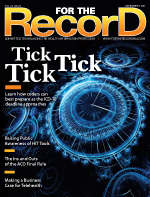 The interest in telehealth has come about in large part because of the growing emphasis being placed on consumer-oriented healthcare, which “can encompass all current aspects of telehealth, from remote vital signs monitoring to video telepresence solutions to medication adherence and management,” Bujnoch wrote. While telehealth may be the new kid on the care delivery block, a growing body of evidence already supports its economic case. Most recently, researchers at Stanford University evaluated the impact of the Health Buddy telehealth program on Medicare patients from two clinics in the Northwest. They identified spending reductions of approximately 7.7% to 13.3%, or $312 to $542 per person per quarter. Their findings also found mortality differences between the treatment and control groups, which suggest that the intervention may have brought about changes in health outcomes. Baker points to two elements of the program that likely had the biggest impact on the study’s outcomes. The first was the tight integration of information and care management. The second was the device itself, which was easy for the patients to use. “We were intrigued by the ways in which telehealth devices are developed and ways people use them, especially in populations with health conditions that might limit the use of complex devices,” he says, adding that successful telehealth ventures require the right technologies as well as a clear understanding of the patient population. Like any care delivery model, telehealth may not deliver the same economic benefit to every hospital or healthcare system that launches a program. There are numerous factors that must be carefully considered before deciding whether telehealth makes financial and clinical sense for a particular facility. For example, not all patient populations will derive the same benefits from telehealth, a consideration that impacts potential cost savings. Typically, regions with a high incidence of chronic conditions are prime telehealth candidates, as are areas with rural populations or where consumers have difficulties accessing care. In some cases, the most economically sound application of telehealth for a particular organization may not be the most obvious. While it can have a significant impact on chronic conditions and help open access to patients who may not otherwise seek care, telehealth may also be the answer to more specialized needs. For example, telestroke has been shown to be cost-effective for rural hospitals that don’t have a full-time neurologist on staff. Pediatric telehealth has saved the U.S. Department of Defense as much as $750,000 per year by enabling provider-to-provider communications in remote areas where pediatric specialists are not available. Finally, ICUs that implement telemedicine intervention that includes off-site electronic monitoring of processes and detection of nonadherence to best practices have been found to have lower hospital and ICU mortality, lower rates of preventable complications, and shorter lengths of stay. The UVA Center for Telehealth provides services in 40 different subspecialties to more than 85 hospitals, practices, clinics, and other provider organizations. In addition to stroke and emergency medicine, the center utilizes telehealth to provide psychiatry, dermatology, and high-risk obstetric services. Telehealth is also used to treat and control chronic conditions ranging from diabetes and chronic lung diseases to postmyocardial infarction management. These services are particularly valuable given the remote and rural populations within the center’s service area. “It is a huge value for our patient population. Traditional geographic boundaries fell away and we now provide services anywhere in the state,” says Rheuban. Another important consideration with telehealth: the costs involved in establishing and maintaining a program. While the price tag has gotten smaller as technology has advanced, it still requires a significant commitment of financial, human, and technical resources. The costs to launch a program vary broadly. Rheuban, a pediatric cardiologist and past president of the American Telemedicine Association, notes that the final price is often dictated by the level of integration the program is expected to achieve. Dunbrack notes it is difficult to estimate the costs for establishing a program because they vary by institution and the conditions being tracked. Nevertheless, she says the majority of expenses will come from the devices and technologies required as well as for patient and clinician training, ongoing technical support, and replacement costs. Another cost center many tend to overlook when first exploring telehealth is the personnel necessary to process the data being transmitted from patient to provider. The good news is there are numerous financial assistance options available to help facilities offset the costs of launching telehealth. In September, the U.S. Health Resources and Services Administration (HRSA) awarded Regional Telehealth Resource grants of approximately $1 million each to three new organizations, including UVA, to create public-private partnerships in the Northeast, mid-Atlantic, and Midwest regions to provide support and resources to organizations to advance telehealth collaborations. Several additional grants are available through the HRSA, particularly for rural hospitals. These include the Licensure Portability Grant Program, the Telehealth Network Grant Program, and the Telehealth Resource Center Grant Program, all of which are competitive grant programs. Other federal agencies fund telehealth programs as well. While grants and other forms of financial assistance are important aspects of getting a telehealth program up and running, achieving sustainability must be the long-term goal. Thus, the focus must be on identifying the sponsoring organization’s return on investment (ROI) and demonstrating economic viability. According to Schoenberg, providers realize ROI in different ways. In some cases, they are reimbursed for services provided (see sidebar), which helps them diversify their practices. It also allows them to better manage overall care for improved outcomes, which will become increasingly important under new models such as accountable care organizations and patient-centered medical homes. Establishing ROI is great, but without the ability to demonstrate a program is saving costs—as well as lives—it will be difficult to convince healthcare organizations to provide the long-term support it requires. The UVA Center for Telehealth is a prime example. While it was launched with the support of federal and state grants, sustainability was always the final objective. As such, it has tracked performance metrics from the outset to demonstrate the value telehealth brings to the state. “Our goal was to develop a sustainable model of healthcare delivery. We had to answer to the clinicians providing the services over telehealth and to the patients themselves,” says Rheuban. In addition to clinical outcomes, those metrics include miles saved by patients by eliminating the need to travel significant distances to access care. In 2010, telehealth saved 1.3 million miles, bringing its total to 6.5 million since the program’s inception. Other key metrics are the number of patient encounters, transfers to hospitals vs. transfers avoided, and patient and provider satisfaction. Also tracked is the number of missed appointments, which at the center have declined to the point where the number of no-shows is now lower for telehealth appointments than for traditional in-office appointments. Other parameters are dictated by the specialty service line. For example, key metrics for telestroke services include how quickly the connection to the provider was made, speed with which the CT scan was transmitted, and time elapsed prior to the remote exam. By finding the right mix of services and the right technologies across which to deliver them, telehealth can increase access to healthcare while reducing costs and improving outcomes. It can also have some unexpected side effects that expand its economic benefits to the community at large. Reimbursements are always a concern when a new service line is introduced, and telehealth is no exception. While reimbursing for services provided via telehealth is growing more prevalent, it still remains a large obstacle to more widespread adoption. According to Karen Rheuban, MD, director of the University of Virginia (UVA) Center for Telehealth, the Centers for Medicare & Medicaid Services (CMS) reimbursed just $17,000 for telehealth services provided by the center between 1997 and 2000. After hearings in 2000, reimbursements were expanded but remain limited to rural Medicare beneficiaries. Many in the telehealth sector are pinning their reimbursement hopes on the new Center for Medicare & Medicaid Innovation (CMMI), which has proposed a Bundled Payments for Care Improvement Initiative that includes four bundled payment models related to an acute hospital episode. The American Telemedicine Association notes that telehealth applications such as teleICU, telestroke, telerehabilitation, home telehealth, and remote patient monitoring could be incorporated into those bundled payments. The battle is also under way at the state Medicaid level. For example, the UVA center worked closely with Virginia’s legislators to secure Medicaid reimbursement and third-party reimbursement for telehealth services. “For Medicaid, they were able to demonstrate significant cost savings just through the elimination of transportation expenses. We showed that our institutional investment in telehealth did indeed bear fruit,” says Rheuban, who also notes similar successes across the country. Currently, more than 35 state Medicaid programs cover some telemedicine services, and 12 states, including Virginia, have implemented mandatory telemedicine reimbursement legislation. Part of the reimbursement challenge is the wide range of variances within the U.S. healthcare system from one region to the next. This can make it difficult to determine what is an appropriate service and fair reimbursement rate, particularly at the national level. With the Medicare and Medicaid wheels of change grinding slowly, many are looking to the private payer market to jump-start telehealth reimbursements. It remains a difficult sell. According to the Health Resources and Services Administration, there is no single widely accepted standard for private payers. Some value the benefits of telehealth and will reimburse a variety of services, while others have yet to develop comprehensive reimbursement policies. Despite these challenges, reimbursement is happening. And many expect it will grow exponentially as new care models take hold.